I'm so proud of this one, you guys. Monica Burkett is a phenomenal birth photographer in the Dallas Fort Worth area. Her company, A Sacred Project, documents life at first breath. Check out her gorgeous feed. Monica reached out to me about helping rebrand her business. Her pictures were already top notch, so she just needed something fresh, and something her. I was really intrigued because I've never worked with something like this, and I was even more excited when she said she wanted it to be more granola—no cliché pacifiers or rattles. We talked about ways we could communicate new life and home births without making it look too cutesy. We decided on a few earthy themes, like sprouts, nests and baby animals. I drew a lot of baby animals...like a lot (this photo does it no justice). From there we just went over different looks, type treatments, etc. I always keep clients looped in, so sometimes I'd text her a process shot and sometimes she'd send me a link to something that gave her googly eyes, or just adorable baby otters. We were both really pumped about the final result. She uses the little deer for her social media icons, and the type on her home page. Having a baby in the DFW area? Reach out to Monica not only because she takes amazing photos, but also because she is HILARIOUS and a blast to work with. Be sure to follow Monica on Facebook, Instagram, and check out her site if you haven't already. Looking for a rebrand yourself? Email becky[at]chipperthings.com to discuss your project. I'd love to work with you in October! *All photos are courtesy of Monica, of course. New work! Sarah Best Photography! 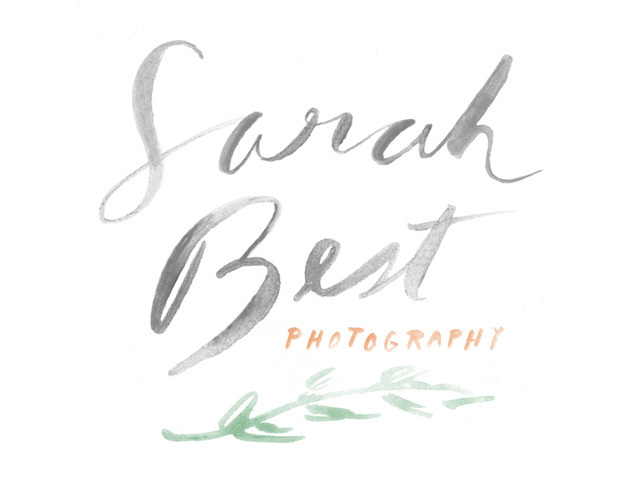 It is my pleasure to introduce you to the new Sarah Best Photography! I met Sarah last fall and I was more than delighted when she reached out to have me rebrand her College Station-based wedding photography business. Since she's not going to brag like this to you, I have to do it for her: this gal is legit. She is thoughtful, courteous, timely, and downright talented. If you or someone you know in the A&M area needs a photographer, call this gal up. I knew right away that Sarah and I would have a hoot working together. She not only takes her craft (and herself) seriously, but she's incredibly intentional with her business decisions. She's striving to fulfill a bigger picture. That = dream client. Sarah asked for something soft, earthy, cozy and simple. She had an idea of what she wanted, but before all that, I had Sarah fill out a branding survey questionnaire that picked her brain about her goals for this brand and her business as a whole. Then we chatted up ideas, and explored different looks, vibes, type and symbols. We chatted by phone, email and text throughout the process. Eventually, we cut the frivolities and landed on a simple branch. It was important that Sarah stay down to earth. Her ideal wedding has beautiful natural light, and probably some succulents and pinecones thrown into the mix. In the end, I designed a new logo + business cards, then she made these snappy USB drives (below). There's a stamp in the mix, but that pup isn't pictured. Check out Sarah's blog for chances to win some treats during her launch week. She's killing it with giveaways. Be sure to like her Facebook page, follow her on Instagram and Twitter. And don't forget to use the hashtag, #SPBlaunch. I met Sophie about a year ago and I've much enjoyed following her creative pursuits since. Whenever I see one of her groovy Instagrams (follow her), I'm inspired to turn off my phone and MAKE stuff. If you don’t know who Sophie Roach is, head over to her site for a quick look. Sophie is an Austin-based illustrator who has a knack for creating psychedelic patterns and insane details. She’s been featured in Juxtapose and some of her past clients include Nike, Converse, Vans and Urban Outfitters. Now let's see how she does that while we make sandwiches. Around 5:30 I’ll go run a few miles on Town Lake, grab a shower and eat dinner with the boyfriend. After that, I can sometimes be convinced to grab drinks with friends or watch a movie, but usually I’ll get back to work from around 9PM to 2AM. My work-life is similar to my drawing style in that it’s a sort of organized chaos. I love making lists and doing things efficiently, but it’s important to me to stay flexible and give myself room to follow my whims. Do you have any boundaries throughout your day? Not really. I’m always looking for balance, and that means something different every day. The only thing I try to be rigid about is that afternoon run. It’s hard to stop working, but getting outside and moving around like that makes a huge difference in my mood and my ability to manage stress. What is something you're proud of this week? I just wrapped on my biggest commercial project thus far and I showed work in LA for the first time last weekend at a really fun group show. My commercial and personal works totally inform each other. Being able to do both makes me so so happy! Thanks again, Sophie! Looking forward to what’s ahead for you. Be sure to follow Sophie on Instagram, Facebook and Twitter. Check out her store and website while you’re at it. *Illustrations by Sophie, of course. Headshot is by Dotmo. NOTE: I think we could all learn a thing or two about Sophie's diligence in showing her work. Process + final. 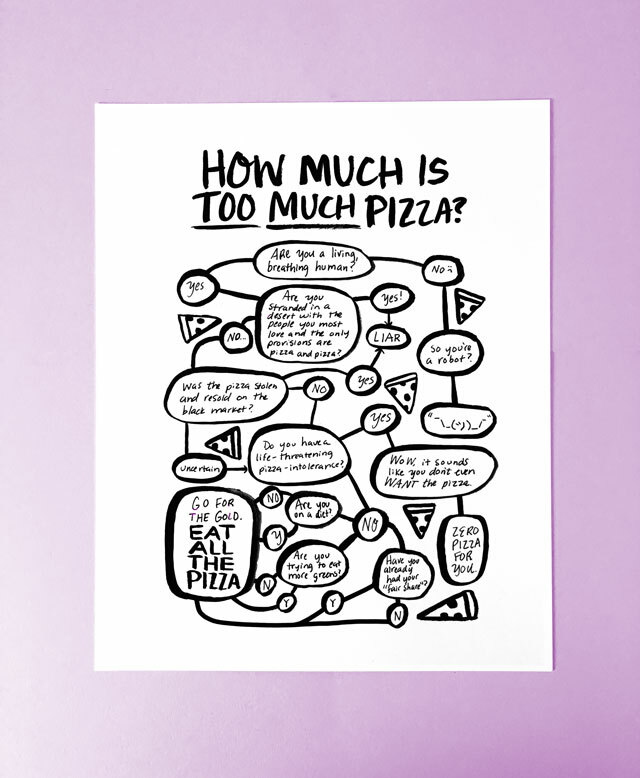 Austin Kleon would be proud. Greetings folks! I'd like to introduce a new series I'm working on called Day Time (working title). As a freelancer, I'm constantly searching for new productivity hacks, tips, tricks and better ways to structure my work days. I'm curious as to how other entrepreneurs make it happen. When do they wake up? When do they stop working? What boundaries do they set for themselves? What books are they reading? Who better to start with than my good friend Candice. Let us begin! Candice! Will you start out by telling readers where you are from? The thriving metropolis of Baytown. In the heart of East Texas, it's a spectacular oil and refinery town on the way to the Louisiana border. I buy one of a kind, for the trade. Essentially, I work closely with interior stylists and hotels to source unique items for their projects. I roll out of bed around 7, and my husband brings me coffee in these gorgeous stone mugs we brought back from Mexico. Breakfast is usually smashed avocado on toast, topped with a fried egg. The mornings start with prayer and meditation or journaling. Practicing quiet really centers me and then I get less lost in social media, comparison, etc. After a second cup of coffee, I'll meet up with a friend in my business class to brainstorm a problem or touch base with potential clients. I spend most afternoons in the studio, keeping up with inventory, product photography, and shipping. Spending time looking through paper catalogues and books keeps me inspired and dreaming up new ideas. 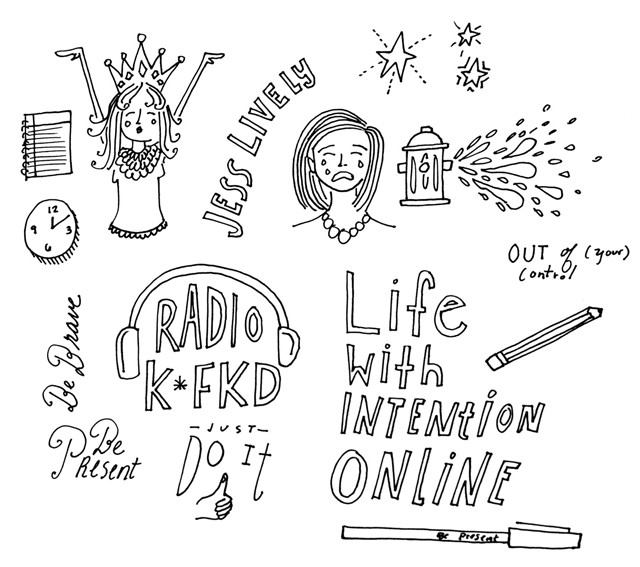 A brilliant friend of mine, Becky Murphy, told me to write down ten new ideas a day, and while ten ideas usually takes me two days, it's truly the best advice I've been given since launching OH! Fox Creative. So I'm constantly writing ideas down in my notebook. Pouring a glass of wine and getting dinner started begins around 5 pm. I love taking that time of day slow. Working for myself, I know I'll be on email later or working at night, so I never apologize for that time, but savor it instead. We will check email or finish projects a little after nine, and try to be in bed by ten most nights. Ten almost always means eleven. First of all, thank you for the shout out. Secondly, there is so much inspiration in the above three paragraphs that I don't know how I'll handle it. Do you have any boundaries throughout your day? I'm at my best when I don't look at Instagram until ten a.m. To be honest, I think it's rude to have a phone out at lunch or be texting in the middle of a meeting, even if it's social. When I'm present with someone, I'm happier, so that's my biggest boundary: choosing to be present and putting down my phone. Because my clients' projects are time sensitive, I don't really have an "I don't answer email after..." boundary. But when I take vacation, I do my best to wrap up projects completely and create an away message so I can really unwind. The last note I'll add here is that I rarely say I'm busy. Even Beyonce has 24 hours in a day, so if I practice saying no and practice minimalism in my schedule, I almost always have time to invest in people I love and projects that I'm excited about. That's maybe the best boundary — never saying "I'm sooo busy." What are the top three most influential books you've read recently (or ever)? 1. E Myth Revisited transformed the way I think about business. 2. I quote Sheryl Sandberg's Lean In almost weekly, so I have to include that. 3. Book club is reading A Moveable Feast by Hemingway right now and I am totally mesmerized. Not sure about long term impact, but I'm eating it up. Love love love it all. You inspired me to start my morning more intentionally. Thanks, Candice. Follow Candice on Instagram and Twitter. Keep up with her shop updates by signing up for her newsletter, and be sure you take a good look around her new gorgeous site. This is such a sweet day for me. Wacoans, I finally get to celebrate my I'd Rather Be Short journey with you. Some of you already know this, but I had the idea and created the whole book while I living there. It's my Texas hometown and I'm honored I got to spend a couple of years as a bonafide Wacoan. The support from my friends, folks at Hole in the Roof, UBC, etc. has been overwhelming and this is definitely a night to celebrate. Better yet, it's at my favorite place in town. Please join me tonight at the Dancing Bear Pub for an I'd Rather Be Short book signing at 7 PM. I will give you the scoop on why I started this project as well as my creative process behind it. I'll also share some insider info, like why page 19 has as a subtle pair of pastel plaid L.E.I. shorts and why Shaq got a page but Judy Garland didn't. Barnes & Noble will be selling books there, so don't worry about buying ahead of time. Just come as you are and we'll share laughs over a pint. I'm looking forward to seeing you this evening! P.S. I have an interview at 4:00 with Emily at KWTX. Wish me luck! Links to come if I think my hair looked good. Here's a link to a nice article about it on the Waco Trib.